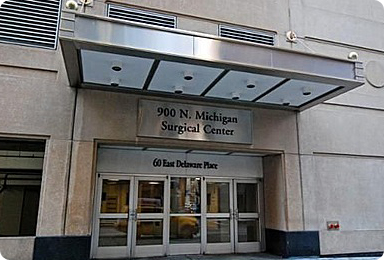 We perform minimal invasive surgeries at 900 North Michigan outpatient surgical center, or Prentice Women’s Hospital. 900 North Michigan Surgical Center is located adjacent to the Bloomingdale’s shopping mall. Our facility is on the 15th floor of the Medical Annex, and can be directly accessed using the South elevators. Parking is available within the building. Pedestrian access is via the elevators at 60 East Delaware Place. The 900 North Michigan Self-Park has entrances on both Walton Street and Rush Street. You must bring your ticket with you when you check in to be validated by our receptionist. Please take the Delaware Street elevators to the 15th floor to reach the surgical center. If you entered the building through the Walton Street entrance, you must proceed to the 8th floor, then transfer to the Delaware Place elevators to reach the 15th floor.